My babies are growing rapidly! These babies have a newly cleaned cage, and are growing well! They are so adorable. 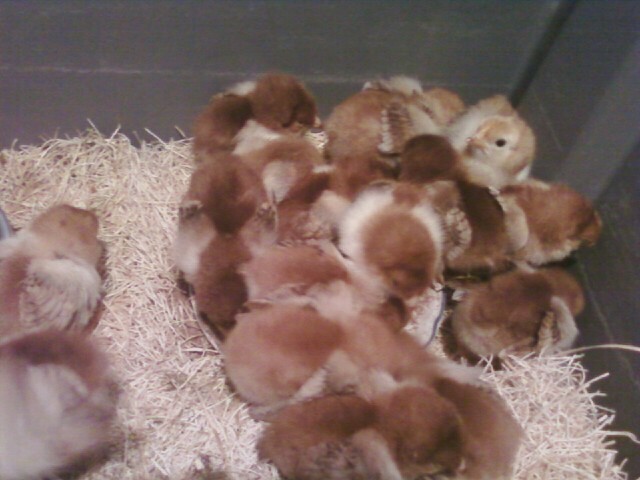 I am down to 13 chicks. Got our very own version of Angry Birds here! However, they are now at the perfect square foot to age ratio. 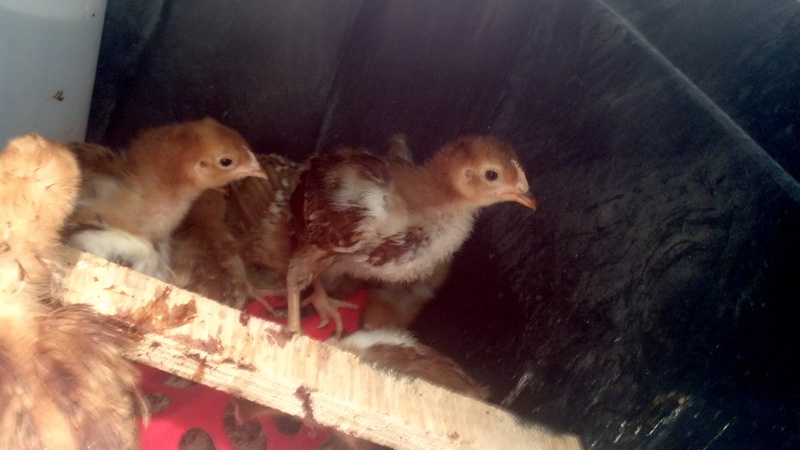 I also posted a picture of the chicks at week 1 (adorable little puffs). The big rabbit (around 6.5 lbs) is slowly growing, but the baby rabbit is putting on weight quite well. I am still in Wisconsin working on the soils4teachers website, and for the Chosen One’s graduation. But, I did get to learn to drive a tractor, which will come in handy once I am done with graduate school and can me some land of my own. I can’t wait to return to North Carolina, butcher my rabbits ( I hope they are ready), and finish building the coop. These are the babies when I first got them home!